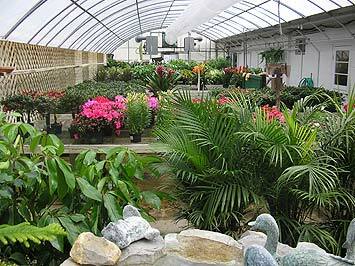 Butchart Flowers Inc & Greenhouse proudly serves the St. Joseph area. Let Butchart Flowers Inc & Greenhouse be your first choice for flowers. *Our shop is open from 8:00 a.m. to 5:00 p.m., Monday through Friday and from 8:00 a.m. to 4:00 p.m. on Saturday. We are closed on Sundays. To help assure on-time delivery during the busy holiday season, place your order at least 2 day prior to the following major holidays: Thanksgiving Day, Christmas Day, New Year's Day, Valentine's Day, Easter, Administrative Professionals Week, Mother's Day, Memorial Day, Father's Day, Independance Day and Labor Day. Our shop will always be closed on the following holidays: Thanksgiving Day, Christmas Day, New Year's Day, Easter, Mother's Day, Memorial Day, Father's Day, Independence Day, and Labor Day. Our shop serves the following areas in Missouri: Gower, Deerborn, Stewartsville and Savannah. Kansas Wathena, Troy, and Elwood. We deliver within the City Limites only.